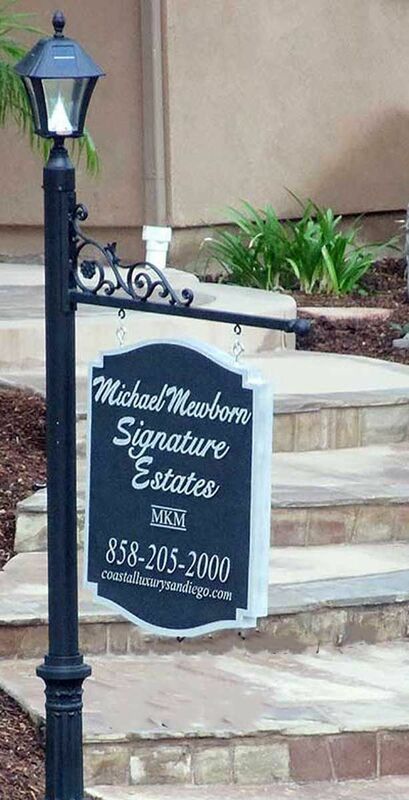 Custom Business Office Signage System with Solar Lamp Post - - ready to hold your hanging sign. Sign not included. 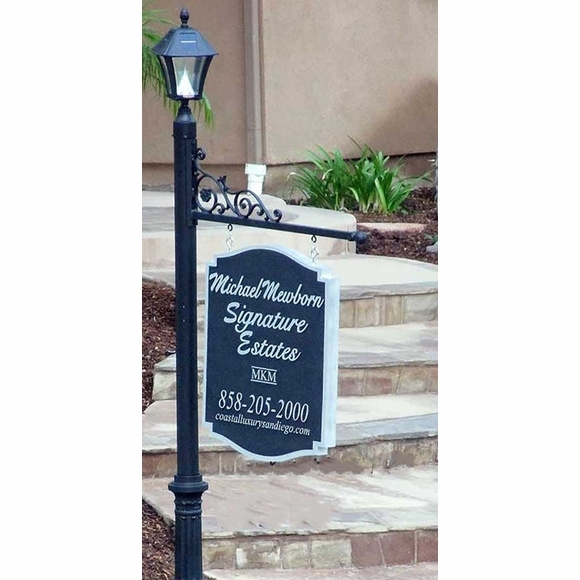 Sign system comes with solar lamp, decorative base, and scroll arm ready for your own hanging sign. Perfect for professional and business offices. Standard height without the lamp: 5.5' to 6'. Also available with a decorative finial instead of the solar lamp (see Related Products).